Blues youngster Jack Lankester has signed his first professional contract, a deal to the summer of 2020. The 18-year-old striker, who is from Bury St Edmunds, joined the academy as an U7 and was a regular in the U23s last season. Lankester, who spent a spell on loan with Bury Town earlier this year, was involved with the first team in pre-season, coming on as a sub in the friendlies against the MK Dons and West Ham. 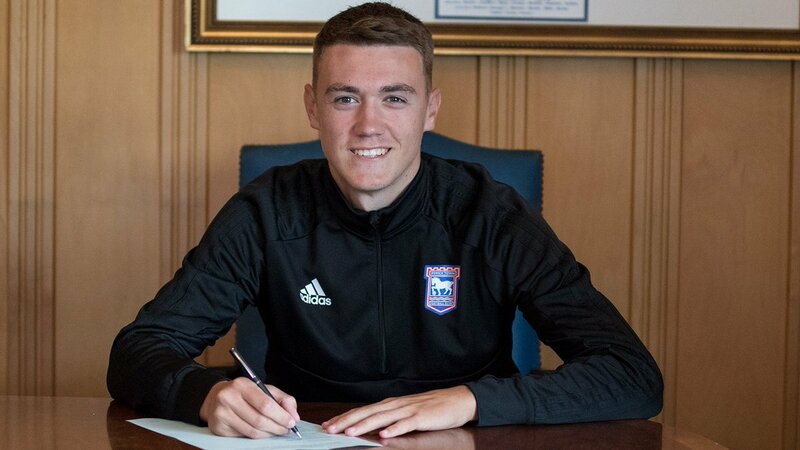 Good luck as a future ITFC first-team player. Hurst had good words to say about this lad if I remember correctly. Well done and good luck Jack. I don't remember seeing anything from the Club regarding the retained list (and contract offers) for the 2017/18 second year academy boys, of which Lankester was one. We know Nydam and Folami have signed pro-deals from this age group, but what about the others (Cahill, McGavin, Marshall, Ndaba, Ware and Wilton)? CONGRATS JACK!!! Played golf against this guy about a month ago in a county match, a really really decent golfer as well! So happy for him!after speaking to a few people on that day it sounds like he has been a great player for us the last couple of seasons in the under 18s and reserves! Scoring goals for fun!! Congratulations Jack, good luck for the future! Young players don't get a chance at Ipswich Town any more, not with the last 4 managers, so this is a waste of his time. Daleyitfc; Nydam , Downes , Woolfenden ; Kenlock ; Morris, and that was just last season. Good news. Like this lad a lot. Saw him for the U23 v Lowestoft. He was the best player on the park and created the first goal. Was the reason PH attended the game. Best of luck Jack.